Paul Oakenfold describes his early life as a "bedroom DJ" in a podcasted interview with Vancouver's 24 Hours, stating he grew up listening to The Beatles. Later 21-year-old Oakenfold and Ian Paul moved to 254 West 54th Street. Studio 54's Steve Rubell ran the place and only allowed popular people inside. Oakenfold and Paul used fake passes to sneak into places in New York where they metMaze, Bobby Womack and Bob Marley, whom they also interviewed, claiming to be NME and Melody Maker journalists. 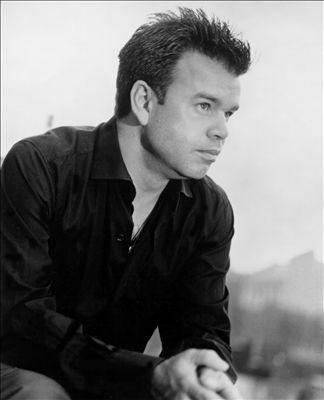 Oakenfold's musical career began in the late 1970s, when he started playing soul in a Covent Garden wine bar. Here, he met Trevor Fung as well as Rumours in London where he played Earth, Wind and Fire and popular British bands.In 1984, he spent several months in New York City's West Harlem. During this time hip-hop was the most popular sound in the area (see 1984 in music). He began breaking into the mainstream as he was working as an A&R man for Champion Records. At that time, he signed DJ Jazzy Jeff and the Fresh Prince, as well as Salt-n-Pepa. Oakenfold appeared on the Blue Peter BBC programme for children with a breakdancing crew. He became a promoter and British agent for the Beastie Boys and Run-D.M.C.. Since then, he appeared at The Project inStreatham playing soul and jazz music. In 2008, he released the last single from his last studio album, Not Over. This was a new version "Not Over Yet" which he produced while working with Osborne as Grace and in collaboration with Ryan Tedder from OneRepublic. The song was covered by Klaxons as "It's Not Over Yet". In 2008, Oakenfold worked on film scores for various films and television programs such as Californication, The Heavy, Fever, The Bourne Identity, and Speed Racer. In mid-July Oakenfold ended his world tour promoting his greatest hits album. He also joined Madonna again in her Sticky & Sweet Tour in London, Santiago, Buenos Aires, Rio de Janeiro and Sao Paulo. After touring, he began his residency in Las Vegas on 30 August, where he plans to release a new album titled "Decade of Dance" and write the score for the film Humboldt Park. In the fall of 2008, he started his first Resident DJ position in the United States. "Paul Oakenfold Presents: Perfecto Las Vegas" was conceptualized specifically for Rain Nightclub, the legendary 25,000-square-foot (2,300 m2) nightclub and concert venue at the Palms Casino Resort known for its special effects and international headliner acts. From July to August 2009, he again opened Madonna's concerts for the Sticky & Sweet Tour in Europe. In 2009 Paul's third studio album was announced to be actually named, "Pop Killer", and not "Decade of Dance" as the article from The Sun stated. He also worked with Madonna on her third greatest hits collection Celebration and her final release with Warner Bros. Records. The first single was released on 3 August 2009, it is also titled "Celebration" and was produced by Oakenfold. He also remixed a past demo "It's So Cool" from American Life, and it is included as a bonus track on iTunes. Oakenfold remixed a song called "Firefly" from the Matt Goss album, Gossy. In 2010, Oakenfold returned to the US as a DJ at Rain Nightclub. Oakenfold performed on Halloween at the 2010 Voodoo Experience in New Orleans, Louisiana. In February 2012, Oakenfold headlined a huge one-off event for club brand Goodgreef at the famous Tall Trees venue in the UK.Later in the year, he performed alongside Californian band Train at the Google I/O June 2012 After Party at Moscone Center in San Francisco. Recently Paul Oakenfold wrote two songs for Cher's new album: Woman's World and Collide. The first single from her upcoming album is expected to be Woman's World.